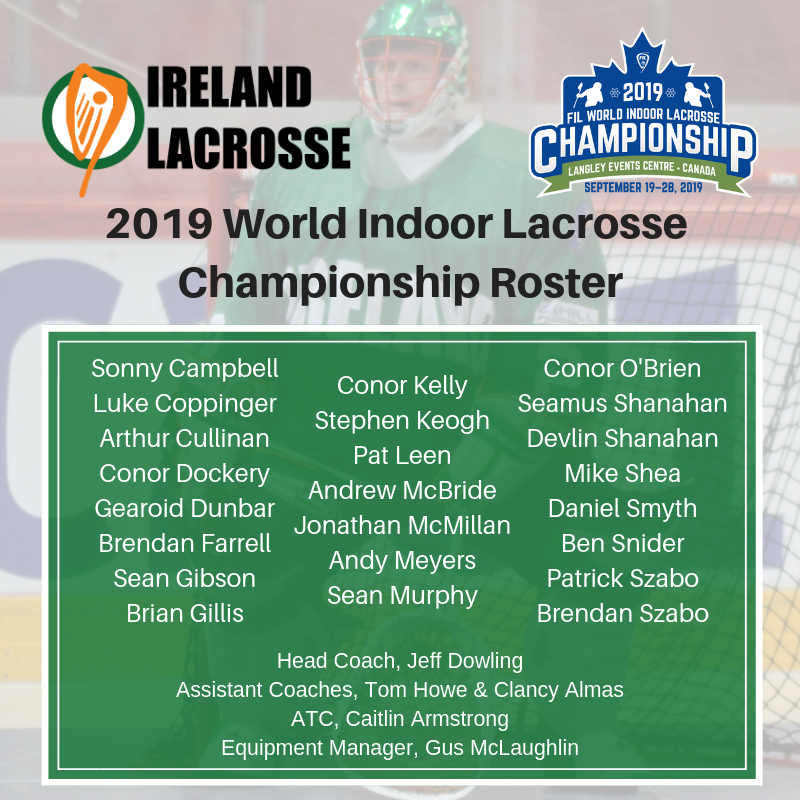 DUBLIN, IRELAND – Ireland Lacrosse has announced a 23-player roster for the Men’s Indoor National team, which is set to compete in the FIL 2019 World Indoor Lacrosse Championship (Langley Events Centre, from 19-28 September 2019) in Langley, British Columbia, Canada. 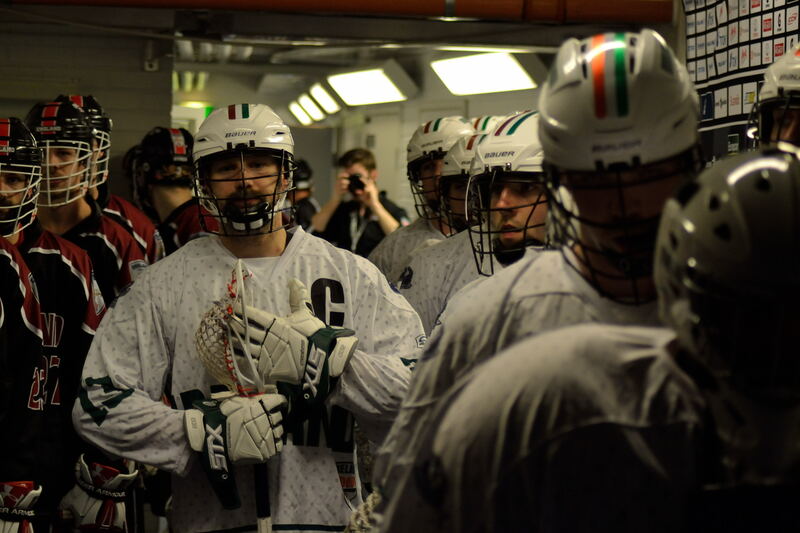 Currently ranked 6th in the World, the Irish indoor national team will be looking to improve their ranking coming off of a promising showing at the 2017 European Box Lacrosse Championship in Turku, Finland. The team returns 17 veteran players (with 347 caps amongst them), and welcomes 6 newcomers. The players named to the roster were selected after an intensive selection camp in Dublin. 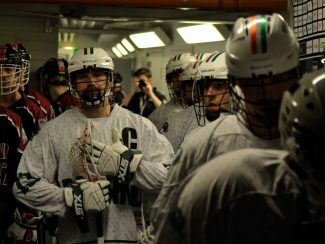 In addition to the players named to the roster, the Executive Board of Ireland Lacrosse unanimously reappointed the entire the Men’s Indoor National Team staff: head coach, Jeff Dowling Assistants Tom Howe & Clancy Almas, Equipment Manager Gus McLaughlin, and Athletic Trainer Caitlin Armstrong. As a player-funded organization, each rostered player is responsible cover their respective costs to be on the team. These costs include: transportation, food, accommodation, uniforms, equipment and a whole host of other costs. Your donation will make it possible for numerous players to be able to participate in the 2019 World Indoor Lacrosse Championships. Donations originating in the USA are tax-deductible. Click here.